Traditional food. 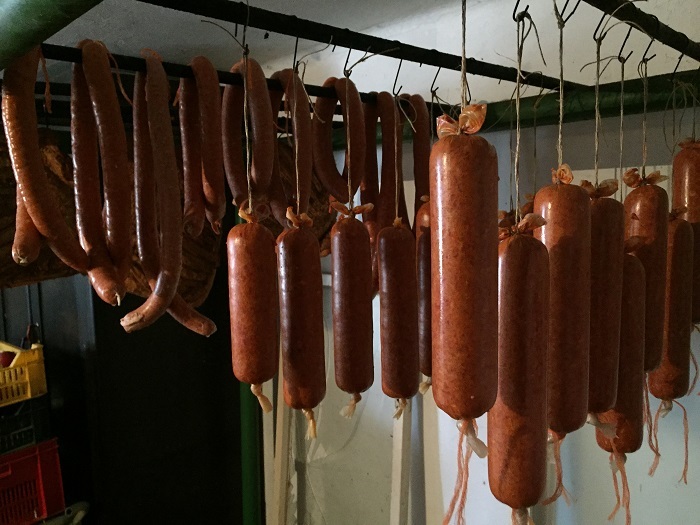 Smoked sausages meat hanging in domestic smokehouse. 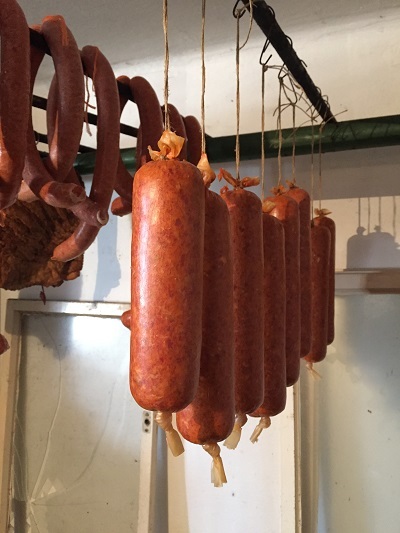 Since relocating to Budapest from Boston last January, family, friends and natives have spoken about the ancient Hungarian tradition of the annual pig-sticking (disznóvágás). This folk custom originated in the early 1600s. One can partake in this special activity from late autumn till the end of winter, roughly between November and February or even March depending on how Mother Nature retains chilly temperatures. Participants gather before sunrise to spend the day slaying, preparing and bundling pork for later consumption. A dear colleague personally invited me to accompany her family and close friends to partake in this truly Hungarian custom which was quite memorable in every way possible. We departed on Saturday from the charmingly disheveled and glorious pastel yellow Eastern Railway Station (Keleti Pályaudvar) around midday – the majestic building makes one halt and notice the eclectic design by Gyula Rochlitz and János Feketeházy (erected in 1884, it was a leading modernized railway station of Europe). 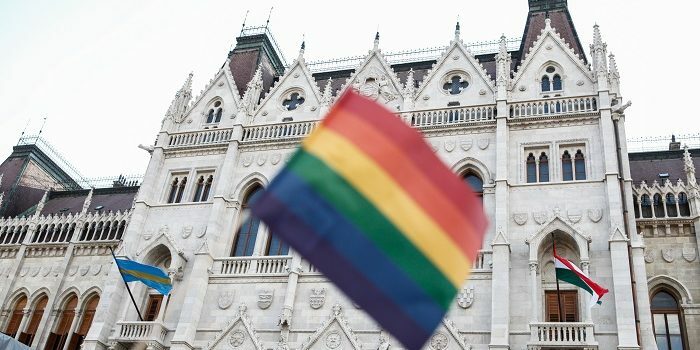 The 170-kilometer train ride south of Budapest was relatively short to the miss’s town of Dombóvár. Moreover, becoming acquainted with her delightful family was heartwarming and soul-saving. We woke up bright and early Sunday morning with a splendid breakfast to begin the stimulating day ahead. The first of two swine were slayed before arriving to the garden. At this point, it’d been scorched of its hair and we were responsible for a proper clean. We began to prepare the skin by using a sharp knife and a good amount of warm water. This aided in having the darkened layer lift off without substantial scratching. Afterwards, we raised the 120-kilo swine to a stand designed by my friend’s father where it was secured for the butcher to efficiently remove all innards and humanely separate several kinds of meat. This was the first time I’ve ever seen an entire slaughtered swine, in any event, headless before 9 o’clock in the morning. The traditional pear pálinka (Hungarian fruit brandy) aided indeed. Afterwards delicious fresh liver was prepared by the youngest daughter who happens to be my colleague. This was scrumptious, especially with fresh pressed garlic, zesty pickled peppers, and baked artisan bread. 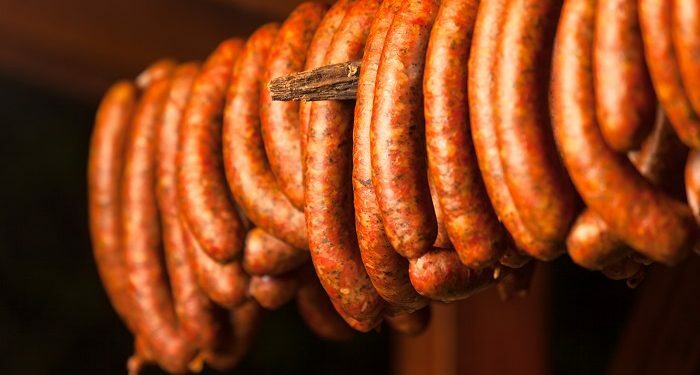 With our bellies full we then carried portions of uncooked pork to an area with mixers, racks, tables, troughs, and a packing machine to further clean, mix, and create several traditional salamis and sausages. While this was being completed, a variety of innards were placed in a metal cauldron with boiling water fueled by wooden logs. Moreover, this was ‘the place to be’ whenever possible for a quick warm-up. The innards were boiled for at least three hours. Before further processing, my friend’s father and the butcher offered us to taste several parts. Everything was quite appetizing. The flavors were exquisite. The two swine had been raised exclusively by her family and all meals they had consumed were organic. Following the tasting, we continued cleaning, separating, grinding, and mixing the meat. 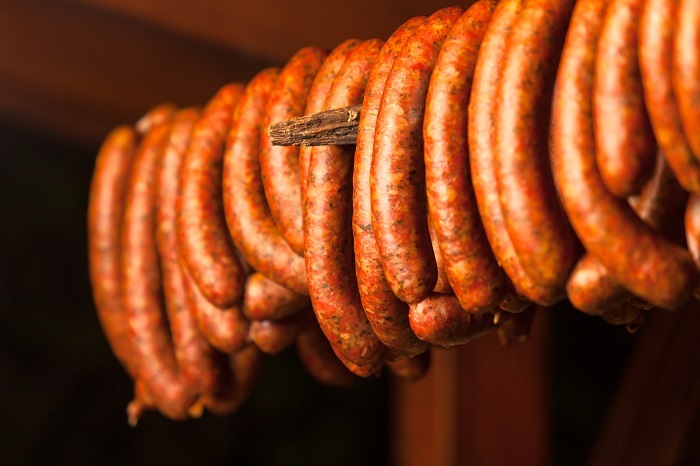 The final thing to do was to prepare the different types of sausages. We made several with a hefty amount of the famous Hungarian paprika powder, fresh pressed garlic, salt, pepper, onion, rice, and swine’s blood. I personally preferred the spicy ones especially, they were truly fantastic. I am grateful to had been a part of the traditions witnessed, learned, and practiced. This was an occasion I’ll carry with me for several years to come. Many thanks to the wonderful Hungarian family whose hospitality was truly genuine and very much appreciated.